Photo via Yahoo! News. The Empire Builder travels daily between Chicago and the Pacific Northwest along major portions of the Lewis and Clark trail, and takes customers on an exciting adventure through majestic wilderness, following the footsteps of early pioneers. Now it can be told. This year I served as an Amtrak Writers Residency judge after being a recipient of a residency the previous year. The winners have just been announced. Last year I believe I was the only one of 24 writers who self-identified as a playwright or screenwriter. You’ll notice that this year there are several in the mix, not that I was the sole impetus for this but I was in there swinging. Some are recognizable heavy hitters and some are early career. Overall a good mix I think. If you’re a writer and haven’t entered this thing yet–why? I urge you to do so next year. It is unique and worthy and I’d love to see it continue to grow in scope and acceptance as an incubator for new work in all media. WASHINGTON, July 14, 2016 /PRNewswire-USNewswire/ — During the next year, selected members of the literary community will travel on Amtrak routes that crisscross the country and spend the time working on their writing projects, providing a unique journey and workspace as part of the #AmtrakResidency program. This is the second group of writers selected for the program, which offers a travel experience with amazing scenery, an environment that fosters engaging connections, and the ability to explore and be inspired by the diversity of landscapes America has to offer. A diverse group of writers were selected for the residency program. About two writers per month will travel round trip on pre-selected (based on availability) trains, and cover all 15 of Amtrak’s long-distance routes. A complete list of selected residents and bios can be found on the Amtrak blog. Applications were reviewed by a panel representing the literary community including published writers and former Amtrak Residents Lindsay Moran and Jeffrey Stanley, Amtrak Senior Vice President of Government Affairs & Corporate Communications Joe McHugh and writer and teacher Jessica Gross. Gross, a Manhattan-based writer, traveled on the Lake Shore Limited as a trial run of the residency program and her support spurred the launch of the formal program in March 2014. Her piece, “Writing The Lake Shore Limited” was published by the Paris Review. For more information on Amtrak and the Amtrak Writer’s Residency experience, visit blog.amtrak.com or follow #AmtrakResidency. Happy for Sarita, she deserves it all. 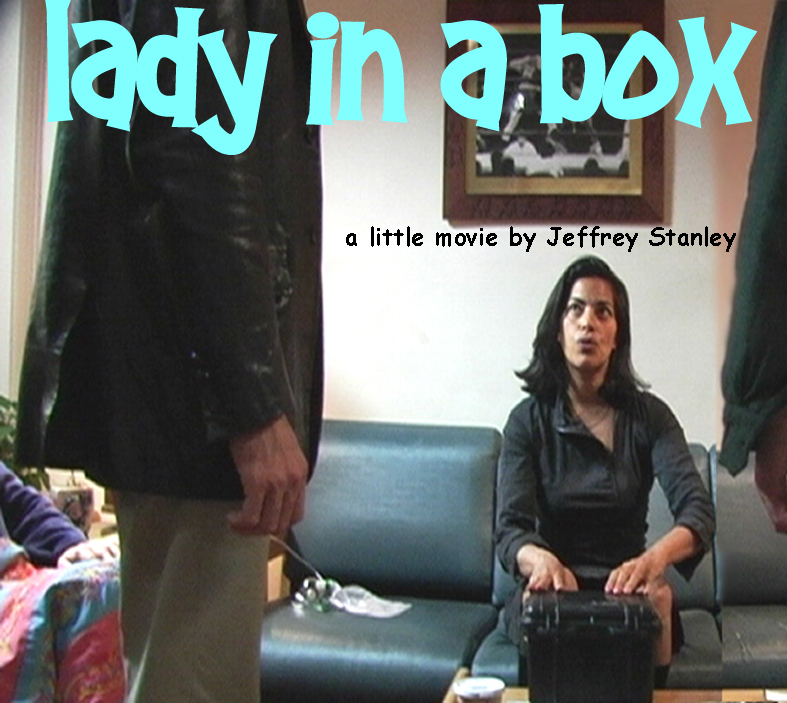 Forever grateful that she starred in my short “Lady in a Box” a decade ago, produced by Matt Myers and Tai Burkholder and co-starring Luke Rosen, John Lordan, et al. I visited the most haunted place in the US and bumped into a witch. The witch bumped into a crazy writer.